Does a Mediterranean lifestyle in the Wairarapa countryside sound magical to you? Fancy owning a vineyard and making your own wine? This Tuscan-inspired home and courtyard were custom built for indoor and outdoor living. Relax in the tranquil garden bar where you can sit under the pergola, drinking a glass of Pinot Noir and enjoying homemade pizzas straight out of the pizza oven. 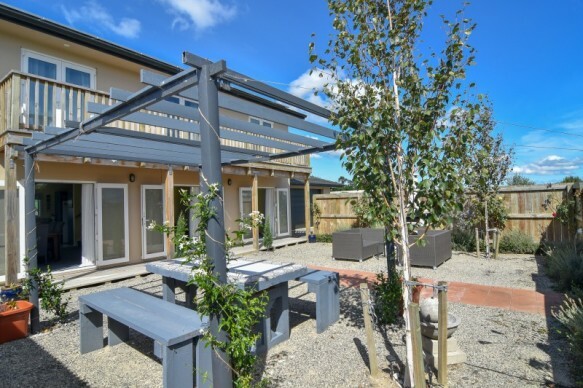 The three double bedrooms (master with ensuite and walk-in robe) all open up to the west-facing balcony with stunning views of the Tararua ranges. Open-plan living areas have been designed for entertaining, and the spacious kitchen boasts a scullery with plenty of storage and a centre island. The living/dining area has large French doors that access the outdoor entertaining area and private bar. Built in 2017, the house is double glazed and fully insulated. Two heat pumps and nine solar panels have been installed to keep you toasty warm and minimise your power costs. There is an internal-access double garage, a separate double garage to store vineyard and winemaking equipment, and a refrigerated container to undertake winemaking processes. The vineyard has established Pinot Noir, Chardonnay, Riesling, and Muscat grape varieties, along with many fruit, olive, and nut trees. Extra chattels include all the winemaking equipment you'll need (destemmer, wine press, stainless steel tanks, and filter) and vineyard tools (ride-on mower and tow-behind sprayer) to keep the vineyard in tip-top condition. Situated just minutes to town, transport, and schools, this property will give you the lifestyle you want at a price you can afford. Call Jo or Kelly now to make an appointment to view this special home and vineyard.